You use PowerShell EVERY day. You work directly in the console. You create scripts. You write Script Modules. Maybe your “users” are pleading for a simple GUI based front end for the scripts that you need them to execute. The most complete PowerShell Integrated Scripting Environment available. PowerShell Studio is full of all the tools you need. An updated ribbon UI makes it even easier to work with your scripts. Customizable panel layouts help you work YOUR way. The new function explorer helps you to rapidly navigate to any function, event or workflow. The Object browser quickly connects you with PowerShell cmdlets, .NET, WMI, databases or files. And the Snippets explorer allow you to instantly add predefined and tested script segments to your work. Add to that native PowerShell remoting, Remote PowerShell debugging, independent 32 and 64-bit consoles with PrimalSense enabled input line, GUI forms tools and our HOT new Control Sets, and you have the most powerful PowerShell ISE on the planet! All of these features will be detailed in a series of blog articles by PowerShell Studio’s creator, David Corrales. So keep an eye on this blog for more detailed information. 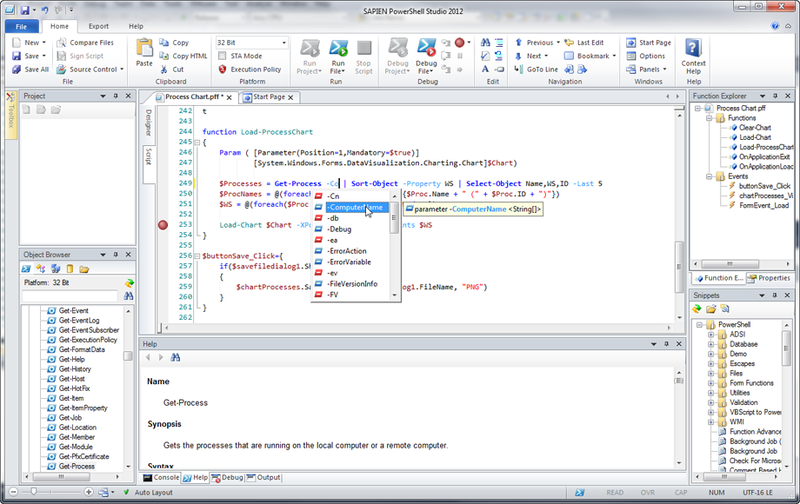 PowerShell Studio 2012 will be available April 18, 2012 and will be specially priced at $299 until May 31st, 2012. On June 1st, 2012, PowerShell Studio 2012 will move to its new price point of $349. 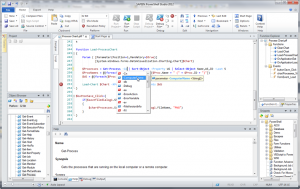 Work the way YOU want with PowerShell Studio 2012. Dose this replace Primal Forms? Ok.. We’ve just purchased PrimalForms 2011… what then ? Free upgrade ? Discount ? You were right. I got my free upgrade from MySapien.